Do you know what Great Danes and miniature horses have in common? Well, besides not being suitable for riding, both animals are just about the same height as adults. 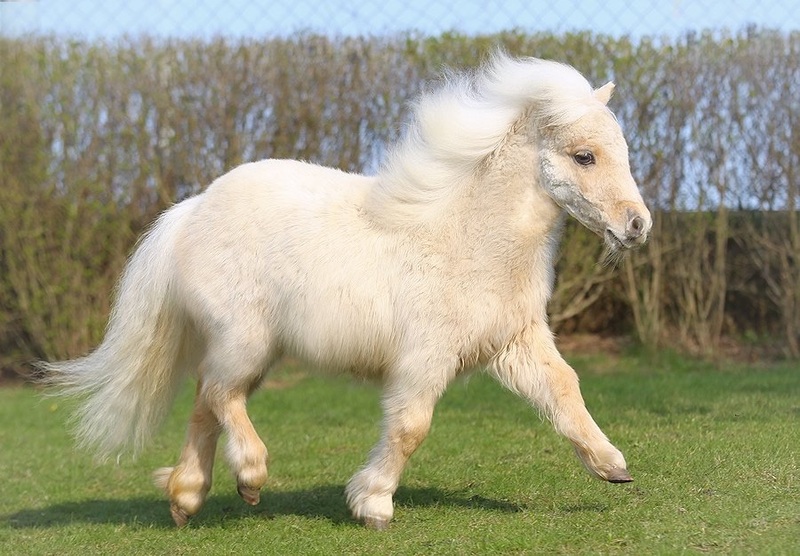 According to the Miniature Horse Association of Australia, for a horse to be classified as miniature, it must not exceed 86 cm in height as an adult and as measured up until the last hairs of the mane, found at the withers. But even within the miniature groups, horses are further divided into separate categories. There’s Category A which includes all horses that aren’t higher than 86 cm as adults. If a horse exceeds 86 cm in height but is shorter than 96.50 cm, it’s placed in Category B which is also known as the small horse. 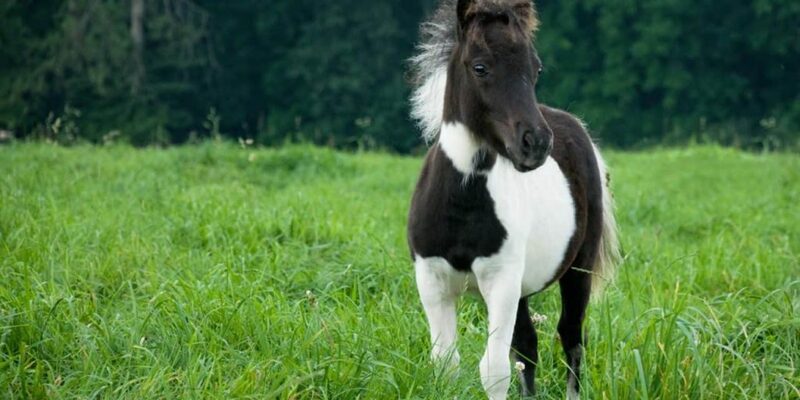 So considering how numbers are crucial for the classification of a miniature horse, it’s no wonder that miniature horse breeders are obsessed with properly measuring their horses’ height. In order to measure a mini horse, you don’t need many tools. You only need a miniature horse measuring stick and a hard, level surface, preferably concrete or paved. A standard miniature horse measuring stick is no longer than 100cm and has centimetres on one side and inches/hands on the other. It’s also equipped with a spirit level to make sure that the stick is perpendicular to the ground, while the cross piece is parallel to it. 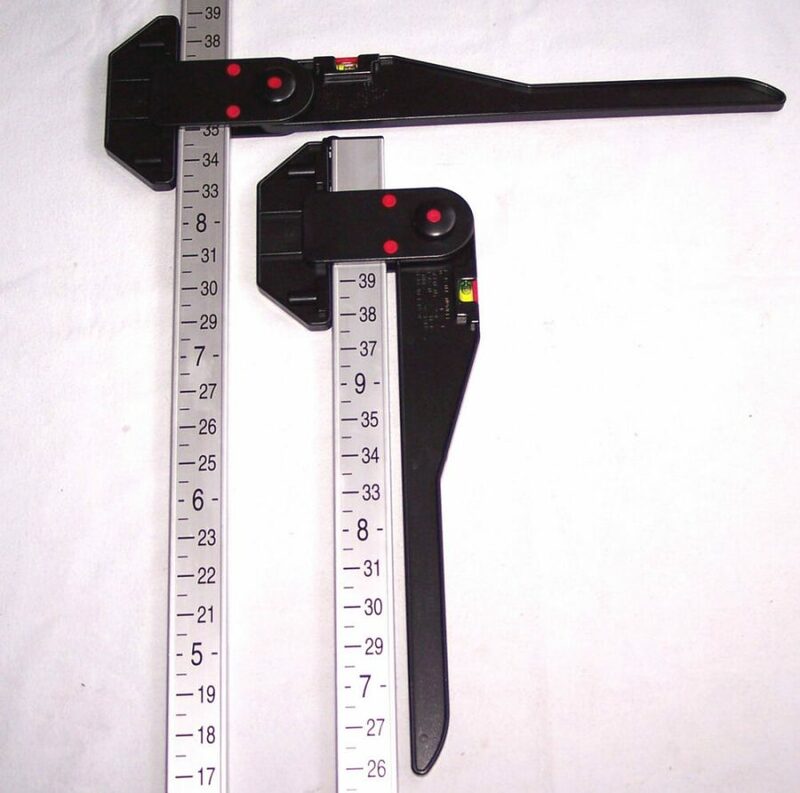 A folding measuring stick is easy to transport for when your horse takes part in shows. And now to the fun part – the measuring. Have your horse stand still on a level surface. Hold the measuring stick beside the horse and even with the top point of its withers. Lower the bar so that it’s exactly in line with the horse’s withers. Note down the measurement in a notebook. If your horse is wearing horse shoes, make sure to take them off before measuring as they can add up and put the animal over the official height. If you’re entering your horse in an official event, check whether the required height includes shoes or not. 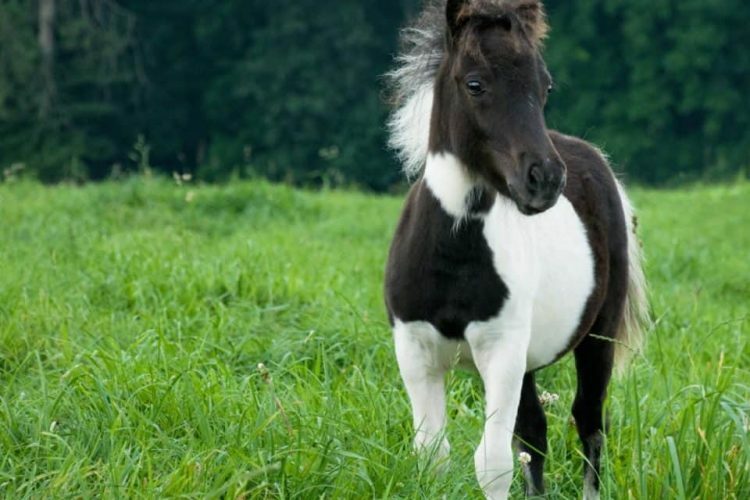 If you’re planning to register your horse with the MHAA (Miniature Horse Association of Australia), it will need to receive a height certificate. To do so, your horse needs to be measured by another current MHAA member or licensed vet, not including yourself (the owner), the breeder, or a family member. If your horse was registered in a previous association the AMHA (USA), AMHR (USA), AMPS or APSB, you only need to provide a copy of both sides of its registration papers.